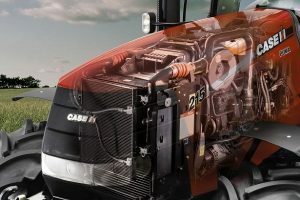 Whether it’s a tractor, combine harvester, other agricultural or forestry equipment you’re using, we offer units to optimise its power and performance allowing you to apply them with more torque in every work situation. Our tuning for these equipment can help save and achieve more economic efficiency which is very important especially in times of high and ever increasing energy costs. Apply more power to your business and increase your earnings. EGR removal means to disable the exhaust gas recirculation valve. As a result of shutting down the EGR valve the engine’s last- and temperature-condition stays closed. This modification was developed to clear away several problems in countries that have to deal with poor quality Diesel. High amount of water in Diesel always causes problems with the EGR valve or the EGR cooler. These problems result in a decrease of the engine’s lifetime and leads to breakdowns. Through a disable of the EGR valve we avoid or even eliminate these problems. 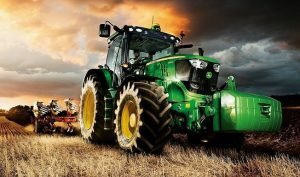 John Deere: 6105R, 6140R, 7230R, 7260R, 6230P, 7230P, 7830P and all other models from R serie and xx30 Premium serie. Increasing breakdown in these filters causes many owners to spent thousands of Rands in maintenance. We remove the DPF filter regocgnition in the software and the filter can be safely removed from the tractor. We can disable the SCR Urea consumption on your Tractor, and there is no refuelling of AdBlue necessary any longer. You can even remove the entire SCR Urea System. Also possible with defective pumps. All Fendt Tier 4 models.